From the classic detective story by Sir Arthur Conan Doyle Sir Charles Baskerville is dead. Near his body is the footprint of an enormous hound. 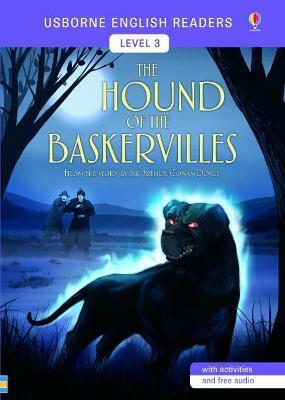 Could it be the legendary Hound of the Baskervilles? The case takes Sherlock Homes and Doctor Watson to lonely Baskerville Hall, a house full of secrets on the mysterious moor. The Usborne English Readers series is a new range of graded readers in simplified English for younger learners. They include activities, glossaries and a full audio recording of the text in both British English and American English.